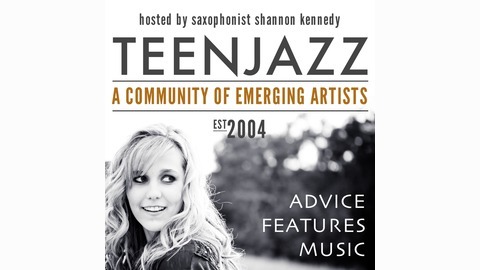 Teen Jazz Radio and saxophonist Shannon Kennedy have started their very own podcast to bring you the latest and greatest from emerging artists, offer advice on being a diy musician, and feature interviews with music industry performers and professionals. We are always looking for new music from the next generation of performers, so feel free to submit your music for consideration and we are more than excited to listen to and share your music! 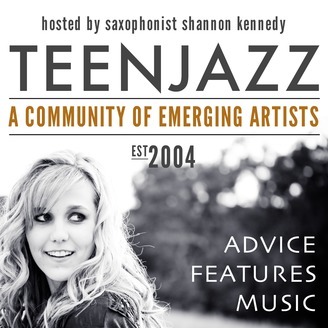 Teen Jazz is a web site run by saxophonist Shannon Kennedy for young artists as a supplemental education for musicians. At Teen Jazz, you can read articles, reviews and interviews with both established and new musicians to get an inside look into the Music Industry. Through the partnership between Teen Jazz Radio and Teen Jazz, we hope to bring more exposure to artists, while simultaneously providing listeners with new and exciting music they wouldn’t hear anywhere else. Of course, we will also play known material so you can tune in to listen to your favorite music too, but our focus is on the next generation, and creating opportunities for musicians in the jazz, smooth jazz, RnB and soul genres. Today on Teen Jazz Radio I'm going to talk about how to boost your music sales. Featuring the music of Ryan Saranich, Adam Larson, Bastian Weinhold, Dan Higgins, Evan Stone, and Reggie Padilla. TJR 022: But I Thought It Was a Hit! TJR 021: Want to know how to Increase your online presence?